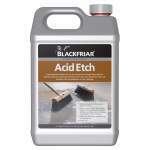 A chemical etching solution for power floated, smooth floors. Improves adhesion and removes laitance. 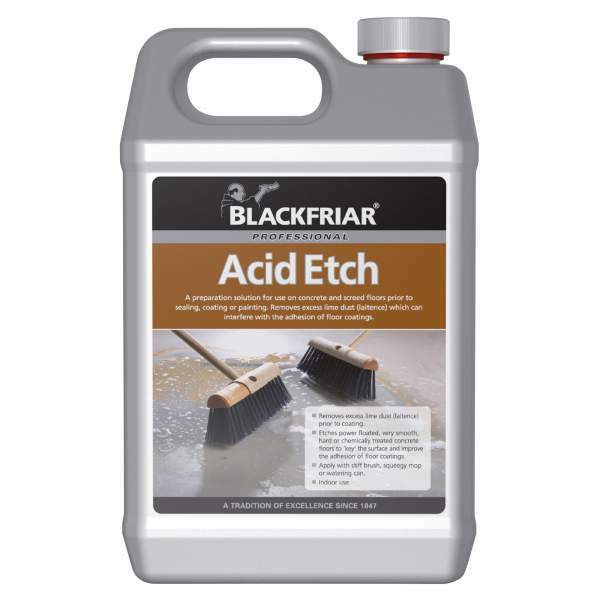 Blackfriar Acid Etch is a solvent-based treatment for use on power floated, smooth, hard or chemically treated floors.It etches the surface to improve adhesion and remove laitance prior to the use of floor coatings.Application is by stiff brush or squeegee mop.Hard dry between 2-3 days.